I will update my portfolio on this page every quarter. Daily stock market volatility obviously distorts the actual value of my holdings in between updates. Last update: 25th of January, 2018. After discovering the dividend growth strategy, I was almost immediately convinced that it’s a perfect fit for me. At the moment I’m still building and diversifying my portfolio, so the list of stocks below should grow over the coming months. The cost basis of each position includes the price of the shares, a 0.25% stock market tax and brokerage fees. Even though the value gain of my dividend portfolio doesn’t matter too much, I’ve added it here for the sake of completeness. When I started out as an investor I put most of my savings into exchange-traded funds to take advantage of their international and industry diversification. If you’re interested why I chose to invest in the three ETFs below, be sure to read up on my strategy. In August 2016 I decided to liquidate my ETFS, mainly because performance was on par with my dividend growth portfolio. The advantage of diversification through the index funds became smaller and smaller as I bought into more dividend paying companies. Besides equities I also have some other investments, one of which is a tax-advantaged pension fund and another one that basically is a savings account through an insurance firm. The latter isn’t being offered anymore because the terms and conditions were deemed too risky for the insurance company by the European Commission after the financial crisis in 2008. On top of that I also own my own apartment. For those interested, I’ve gone through great lengths to detail the past performance of my portfolio. I see T is up on top of the Portfolio. It has been a great performer for many years. Hopefully, for many years to come it will reward us fellow shareholders. I wish I could get to a savings rate anywhere near where you are. That is amazing. Good job. The beginning of the snowball is the best time. I look forward to seeing your progress! My first dividends were very exciting indeed! Thank you for your support. Just noticed you’re brand new to the community, welcome! I’ll definitely check out your blog. Good luck on your journey towards financial independence. Should be seeing a few more dividends rolling in soon. Any updates? October still is a slow dividend month because my portfolio is small, but you can expect an update some time next week. 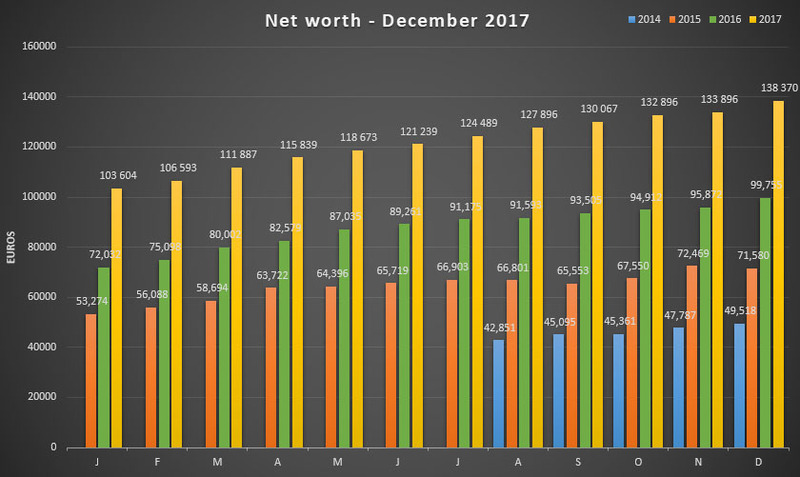 I try to update my net worth and holdings every month on the 15th. I like you blog and live in Brussels too and recently started to invest a portion of my internship salary into the iShares Core MSCI World index fund through DeGiro (custody account). Why did you choose this fund? Is it because it is accumulating the dividends so no income tax has to be paid on the dividends? In short, I really like the Core MSCI World Index fund because of its low TER, good diversification, low bid-ask spread. Accumulating funds are also more efficient from a tax-perspective in Belgium since we don’t have a capital gains tax. Dividends are taxed at 25%. You can read upon all of this in the post mentioned above. Will do, pall! Love the pictures on your blog! Thank you, NMW! Your comment is very much appreciated. We should definetely meet up some time in Brussels! Your portfolio looks very concentrated yet pretty diversified. Do you plan on adding any new names any time soon? I own Unilever shares but I’m wondering if I bought the right ones. It’s a hard choice between the NV and the PLC structure. I bought UNA on the Dutch stock exchange because they were the cheapest in terms of stock price and transaction costs/taxes but because I live in Belgium this means I pay 15% tax to the Dutch and 25% tax to the Belgian government. ULVR on the London exchange has no withholding tax at the source but the PLC shares are about 4 percent more expensive than the NV shares on the Dutch exchange. If my calculations are correct it may take up to seven years to recoup the difference in share price between the PLC and NV shares based on the 15% tax difference (and that’s assuming the UK doesn’t introduce a dividend tax of its own in the near future). Nevermind, seems I was focusing on the wrong metric. For each 1000EUR invested, the NV shares return 30.91EUR in dividends whereas the PLC shares return 34.91EUR. I haven’t redone the exact calculations at this point in time, but if you buy the NV shares you’ll lose out over the long run. The 15% extra Dutch withholding tax will not only eat up your dividends now, they’ll also reduce the growth rate of future dividends. If at all possible try to buy the UK variant of the stock, even if that trades at a higher price point. The same argument goes for Royal Dutch Shell too, btw! Glad to be a fellow shareholder. Unilever is an excellent company. Your blog helped me greatly in deciding to start investing! I’m from Belgium too and I am convinced that starting with a World index is the best thing. How did you pick your broker? A Custody account with DeGiro looks nice in terms of costs, but could involve more risk? On the other hand, as they operate from Holland, do we Belgians have to declare that we own a foreign bank account? Thanks for the motivation and all the best! Great to hear from another Belgian! Welcome! A World ETF definitely is a good strategy. Be sure to check out my post on that topic too. I picked a broker based on transaction costs and online reviews I could find online. When I started DeGiro just moved to Belgium, so I didn’t check them extensively. They also only offered an account which allowed stock lending. I didn’t like that too much. As far as I know, we don’t have to declare that we own a foreign bank account, but we do have to list our earnings in foreign accounts so they can be taxed by the Belgian state. Since DeGiro officially resides in Belgium, I don’t think you have to though. It’s best to just contact them and ask. Feel free to ask any more questions or contact me through e-mail! I found your blog a couple of months ago, and to say that I love reading it. Your portfolio is very detailed, as you may see, I just started blogging as well and I am still evaluating the best to post and update our portfolio. Looking forward continue reading you. Glad you like reading my blog, I appreciate you saying that. It’s always fun to meet new Europeans taking up the challenge of financial independence and early retirement. I’ll definitely follow your journey on your new blog! One of my best friends is currently living in Switzerland and she really likes it there. Although some things are different here in Belgium, I believe it quite manageable to reach early retirement in Switzerland before 50 from what I saw when I visited her. It’s great to meet others that own shares in the same companies! Glad to be in your corner. By quickly glancing over your portfolio, I must say you also own a lot of high quality companies that I’d love to add to my dividend machine in the future. Keep it up! Also, I’m happy that Google Translate is able to translate your website, so I’ll try to follow along. What dou you think about VIG ETF.? Do you like it? Do you know DeGiroBroker? What broker do you use to buy USA stocks? Without going into too much detail, I think VIG is a low-cost and efficient way to quickly add a ton of dividend growth stocks to your portfolio. Drawbacks for me would include its US only focus double withholding tax (although I also pay that on any individual US stocks). I’d much rather have an ETF that’s domiciled in Ireland for that reason. I’ve heard of DeGiro and looked at their offering, but haven’t used them as of yet. If you’re going the dividends route it’s important to be sure what type of account you want (normal or custody), as one of the two charges you quite a lot of fees when you receive dividends. To buy US stocks – and any international stocks basically – I use Bolero from KBC. It’s a Belgian-based platform that is very easy to use, offers relatively cheap transactions, and does everything for you with regards to foreign withholding taxes. The major downside is a 2% cost on incoming dividends. As you probably know, there is a serious cost competition going on between different ETF providers in Northern America. Earlier, I made a switch in my ETF portfolio from “iShares Core MSCI World” to “Vanguard FTSE All-World UCITS ETF”, but I am still not sure whether the lower costs of such ETF outweighs the fact that it distributes a dividend on which a tax of 25% is paid in Belgium. Currently, I’m considering buying “Vanguard FTSE Developed Europe ETF” as an alternative to “iShares MSCI Europe”. I would appreciate your opinion on the pros and cons of switching iShares ETF to lower-cost alternatives such as Vanguard. I’d also be interested to know why you have a preference for iShares ETFs. Thanks a lot! Although I don’t have time to make an extensive calculation, I believe the difference in management costs between Vanguard All-World and MSCI World are so small that it’s just not possible for the difference being greater than your loss in dividend income tax because of the dividend distribution of the Vanguard ETF. So if you’re looking for the most cost-efficient and tax-optimised fund, I’m sure you’d have to go for an accumulating iShares ETF in Ireland. As you can see, my preference for iShares ETFs mainly comes from the fact that they offer accumulating ETFs, whereas Vanguard only offers distributing funds. If I were looking to build a passive income stream through dividends and ETFs, I’d definitely go the Vanguard route though. Either way, you’re making a great choice between the two! 3.15% on a savings account is a great rate in today’s economy. Is this rate typical of EU banks? 3.15% is excellent at this moment! There aren’t any savings accounts that offer that type of interest rate anymore. Actually, it’s not a typical savings account, but rather a life insurance contract between an insurer and myself. I can withdraw the money at any given time though, so it works like a savings account. I’m putting together a post on the account soon because there have been some developments in that area. Im happy to see a fellow from this side of the ocean blogging about investing! Awesome to see how far you have come already. I am, like you, also heavily invested in U.S. equities and would love to buy into more european companies. However I feel there is a huge gap in coverage between the U.S. and European equity market. I came across some companies that i am want to take a closer look at, however I am not finding nearly as many as in the U.S. and this even the U.S. market seem to be priced higher. Do you have any Euro Stocks on your watchlist, other than Unilever. What I find interesting is Belgacom (however I don´t like the government control) Amadeus IT and LVMH. However none of them is anywhere near what I consider as cheap. Would be awesome to get some ideas together here. It’s always nice to meet new people from Europe, so I’m glad you took the time to leave a comment. I’m going to check out your blog in a minute to learn more. It contains about fifty or so European companies that maintain and increase their dividends. There are some German ones on there too! Don’t bother with Belgacom. Too much uncertainty in the telecom regulatory space, I don’t like the federal government being the largest shareholder, and the dividend was cut this year (which is a good thing, because Belgacom had a payout-ratio over 100%). Big fan of LVMH though! Hope to add that to my portfolio soon. Awesome collection there! I would find Henkel AG & Co KGaA and Beiersdorf AG to the list. Their yield is lousy however, their businesses are sound. At more reasonable valuations these are worth considering. Agree with you on Belgacom. I came across that name during a Costumer Briefing at our local bank. They made the case, that Belgacom is furthest in its network upgrading cycle of LTE, since it started earlier than the other competitors. That makes them confident of Cashflows picking up. However the booting of the CEO by the gov. is a farce and makes me certainly backing off. Thank you for the suggestion. I’ll take a look at those two companies and add them to the list if they apply for the criteria. Lousy yield doesn’t mean it’s not a good investment though. Who knows what will happen in the future! You are absolutely right about Belgacom’s network and infrastructure – it’s absolutely fantastic and of extremely high quality. Once the European Commission forces a completely free and harmonised European-wide telecom space, I believe Belgacom will become an excellent buy. By that time, most of the government mandated employees will have retired (they’re really expensive right now) and the federal government will have to give up it’s controlling share. Booting the old CEO was one of the best moves in a long time from the cabinet though. He was too politically involved. The new CEO does a much better job, in my book. What is your strategy? You’re buying stocks which are paying dividends (Monthly/quarterly/yearly?) and hold them forever? just like Waren Buffet? Or you buy them and sell them aslo when the stock price went up for a couple of percentages? And rebuy them when the dividend deadline is expected soon? I’m just curious and have read a big part of your stories on your website but didn’t find how you think about above mentioned strategies. Keep up the good work, I enjoy your stories! My strategy does indeed resemble Warren Buffet’s: buy and hold for as long as possible. I focus solely on companies that manage to maintain and increase their dividend over time. When a dividend is cut, I will re-evaluate the position of that stock within my portfolio and possibly sell. I don’t plan to take advantage of capital gains. For me it doesn’t make sense to sell a company when it is doing well. The transaction costs would also eat into my performance if I constantly had to buy and sell shares. Plus it’s a lot of hassle to keep track of everything. Hope this answered your questions. Feel free to contact me any time. I read a lot on tax “issues” for you in Be, and you seem to know a lot about NL tax as well. As I understood in NL we have bilateral agreements with all the key markets to apply the NL taxrate of 15% whatever the higher local rate is. In addition, this 15% you can deduct from your income/wealth tax, so effectively you pay no dividend tax as Dutch citizen. Is that also your understanding, and dont you have something similar in BE? The Netherlands has the same bilateral agreements in place as Belgium with most other European countries, the US and Canada. As such, you get to enjoy a reduced foreign withholding tax rate of 15%. Of course, your dividend will still be taxed in your home country, which is 15% if I’m not mistaken. Don’t quote me on this, but I believe you can apply for a tax break on the foreign withheld 15% at the end of the year when filing your taxes, NOT the 15% tax your own government levied. A system like that doesn’t exist in Belgium, so you’re best bet is to ask around in Holland yourself – maybe ask a Dutch blogger like http://www.dutchdividend.com! Thanks. Do I understand you correctly you are suggesting that (I dont pin you on it) whatever the local government levies (local rate or bilaterally agreed rate of 15%), my own government levies another 15% on top of that? So 30% or more in total? That’s how it works in Belgium at least. on French stocks, for example, I pay a reduced withholding rate of 15% plus the 25% tax, so for a total of 37.5%. Us dutchies at least can get most taxes back from different governments where there is a tax treaty, getting it down to 15% or even 0%. I believe this includes most European countries such as belgium, france, switzerland, but also the US for example. However, it is probably best to talk with a tax advisor/counseler (or even have them do it for you) for this kind of thing. You then need to file a request with each of the different countries where you have recieved dividends from and taxes have been claimed. Propably not the dumbest decision right now. Also would love to sit on such a cash pile! I’ve saved that money over time to buy a house or apartment in the future. The €18,000 in the savings account will go straight to tax payments, while the other €8,000 is an emergency fund for any unexpected expenses. Keeping money on the side for a drop isn’t really my goal, but if it were to happen I could always use some of those savings to buy cheap stocks. Are you doing re-balance of your portfolio after a certain period of time ? I rebalance my portfolio as I go along. Each month I try to purchase stocks that fit my criteria and that are underweight in my portfolio. For example, if KO fits my needs and I notice that I own hardly any consumer discretionary stocks, I won’t hesitate to pull the trigger. But you have a sort of Buy-And-Hold-Forefer strategy? Or are there circumstances or criteria where you just sell a specific stock? I most certainly apply a buy-and-hold strategy. At least, that’s what I intend to do when I initiate a purchase. When an individual stock’s circumstances change along the way, I’ll re-evaluate and sell if need be (e.g. dividend cut or massive profit loss). Thankfully I haven’t had that happen yet. Based in Belgium I assume you are funding your trading with Euros? I am in the same position living in the UK, but working and earning in the eurozone. Given the low status of the € against the GBP and USD, do you still recommend buying the UK or US variant – I’m interested to know you manage forex costs?? As a Belgian I indeed use Euros to trade. I don’t mind currency fluctuations too much (read http://www.nomorewaffles.com/2015/01/do-you-need-to-hedge-against-exchange-rate-fluctuations/ why), but I do take them into account to a certain extent. For example, even though the US Dollar is expensive for me right now that would not defer me from investing into something like JNJ if it provided good value. Moreover, last year I invested as much as possible in US stocks because I expected the Euro to lose value when the ECB was about to anounce its QE policy. Apart from the currency fluctuations themselves there are no forex costs through my brokerage since they apply real time rates without any additional charge. Maybe you could look for a similar option in the UK? Many thanks for this reply – the linked article and subsequent comments are just what I wanted to hear! I like how to focus investments. And the structure of the portfolio, for being big companies move in tune with the evolution of the global economy. 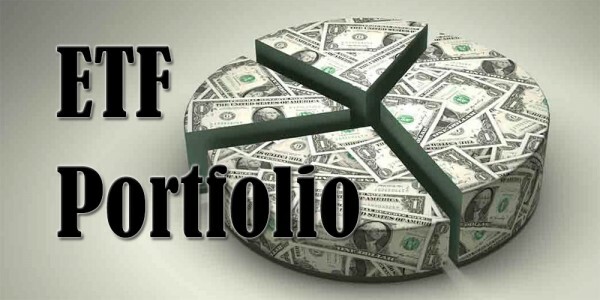 Do you plan a maximum number of shares for the portfolio? Even though my Spanish isn’t great, I’ll check out your blog! I don’t have a maximum set in stone, but I’d like to keep things manageable. I believe 50 stocks will be a good amount, but that remains to be seen. Quick question about your Swiss shares, what’s the dividend withholding tax you pay on these? I got in touch with my broker and they say they can’t offer the reduced 15% rate, have you found a way around this? Currently I’m still paying 35%, but I’m trying to get it down to 15%. My broker offers this service, but it’s expensive. I hope to get it done myself, but the Swiss authorities are a pain to deal with so far. I want to get my hands on some Nestlé some day but the 35% tax is a big deal breaker. So far I received word that Binck can’t offer the 15% tax treaty rate, Bolero charges 100EUR and requires a minimum of 130EUR in recoverable taxes and Keytrade charges 4.20% with a minimum fee of 60EUR. Any experience with Bolero and French dividends, is it easy to get the 15% rate? Bolero is a breeze for the French 15% rate! Just mail them, they’ll send you a form that you have to sign and send back to them. Then Bolero takes care of the rest. My experience with foreign stocks and dividends has been good at Bolero, so I wholeheartedly recommend them. 🙂 Too bad the Swiss and German authorities have such a cumbersome procedure. OK, thanks for the update. I’m in the process of opening a Bolero account in case I want to buy French dividend stocks. it would be still more interesting for the readers if you also mentioned your ” aankoopdatum en aankoopkoers” of the stocks in your portfolio. How do you calculate the value of the stocks? Do you use spreadsheets to do this? Hereby, I invite you to join us. I posted your interestig article in this group. I calculate value based on a couple of factors in a spreadsheet (EPS, yield, etc. ), but I also read the annual reports and see how the company is doing, often relative to its peers. Next time I’m on Facebook I’ll take a look at your group! Happy new year from DK. I see you have a rather large exposure to the USD. I guess it is the same for many European DGI-investors, my self included. Those quaterly dividends and the history of dividend friendlyness is hard to get around. How do you see your portfolio performing in the next 2-3 years? It is hard to see the dollar continue its current run upwards against the Euro, and at some point it must come back down to earth. I am a bit worried what it will do to a dollar-exposed portfolio like mine and yours, but am I overly concerned? How do you see it? I am not a speciallist but i think almost all the US stocks that we own have international business and are exposed to different currencies. I was mainly concerned about the portfolio value and the dividend income. As I see it, the dollar could easily loose 10 percent or more in the next 2 years. After all its gone up something like 25 percent in 1.5 years. If it comes down so does the value if the portfolios with overweight on us stocks. That goes for a lot of euroean DGI-investors. Again, don’t just look at the past year, but take a longer timeframe. You’ll see that the Dollar is actually not as expensive as some would have us believe. I remember times when EUR-USD traded for 0.9 instead of the 1.10 we have now! If you’re in it for the long-run things will even out. Exactly! This is one part of the explanation why you shouldn’t worry too much about exchange rates if you plan to hold for the long-run. Currently about 30% of my portfolio is exposed to USD, 25% to GBP, and 5% CHF – so 40% in EUR. It’s absolutely true that exchange rates have an influence on my portfolio value and dividend income. Besides, it’s like mar said. Many international companies are exposed to other currencies as well and their profits are thus influenced too. To combat wild exchange rate differences they also put hedges in place. One more thing: don’t expect the Dollar to weaken simply because it’s gained a lot in value over the past few months. Take a look at the value of the Dollar versus other currencies the past ten years and you’ll see why. On top of that: the FED is increasing interest rates, while the ECB’s rate remains low. It’s unlikely that the Dollar will significantly weaken compared to the Euro. In your portfolio you have Reckitt Benckiser Group Plc which is 6k per share, yet you have RB	Reckitt Benckiser plc	10	630.34	839.56	+33.19% which suggests you own 10 shares, what am I interpreting wrong? Thanks! British stocks are listed in pence and not in pounds, so 1/100th GBP. That’s why it seems like RB shares are so “expensive” even though they’re only 60GBP. Learning something new everyday. Thanks a lot and good luck! thanks for posting your portfolio, it looks like a well chosen assembly of conservative companys! Thank you for taking the time to leave a comment – much appreciated! I’m really happy with the diversification of my portfolio at the moment and some of the names I own. Of course, there’s always room to add more. Always on the hunt for value! I discovered recently your blog and I truly like it. I’m in the similar situation (but older – 39 years old), I struggle to get out of rat race ( a.k.a. corporate job). I’m also from Belgium (Oost Vlandereen). I like that you show your status , similar with a “shareholder letter” . Recently I also started to do something similar ( I sketch now an Income and balance sheet every month). It helps a lot in visualizing where are the money flowing and helps me to optimize my habits. I have also some shares with nice dividends (REIT, finance). Never had ETF. Since you have ETF with accumulation I was wondering how do you get income since there is no dividend. The share price is fixed ( dictated by the index) so it cannot be included in the price. So you get some amount of ETF “bonus” shares at the end of the year ? How this happens ? And if you get free shares how does the tax income takes his shares ? Glad to hear you enjoy reading my blog! I hope that it motivates you and helps you get out of the rat race as soon as possible. Keeping track of your progress really helps to put down the hammer with regards to FI, I find. It helps me reflect on my past decisions and future plans. I’m sure you feel the same way as you plot your monthly cash flow and balance sheet! The ETFs are accumulating and don’t pay a dividend, so there’s no income, like you said. I bought these for the capital appreciation back in 2014 and didn’t think of making any income from them. Accumulating ETFs always track the total return of an index (including dividends), whereas distributing ETFs track the return minus the dividend yield (since that’s paid out to the shareholders). So there’s no “free shares”. You’ll see the value of an accumulating ETF grow faster than a distributing one over time. Compare IWDA and IWRD on the Amsterdam stock exchange, for example. Hope this explanation was helpful! I got it now ! Some very well-known ones in your list! Be wary of the tax on dividends. Personally I’d go for ACC ETFs from a tax perspective. They behave exactly the same as distributing ones, but you’ll keep more in pocket. First of all: awesome job with this blog. I’m about to add GSK to my portfolio. Still not sure about which one would be the best ticker related to taxes… I see the ticker on LON and on NYSE. Even see it on SWX:GSK. With so many options, I’m sometimes a bit confused. 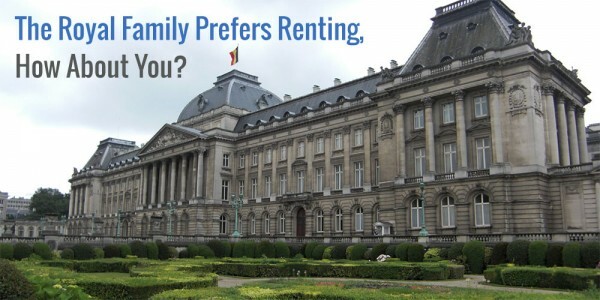 I guess LON is always the one to pick (for Belgians) to reduce taxes? What is your rule for picking the right ticker? Thanks for stopping by! Glad you’re enjoying yourself. Passive revenue through apps and software is a viable route to building a massive passive income stream, great job! I wish I could also make the time to brush up my skills there and get things going. I mostly buy stocks on their home exchange. So for GSK this would be London. The company reports in GBP, so it makes sense to also buy the stock in that currency. Makes it a lot easier to link the company’s performance to its stock price. Stock markets don’t determine the withholding tax, but the actual location of the company does. It’s best to focus on the ISIN information: if a stock’s ISIN starts with GB you can be sure the foreign withholding tax for Belgians is 0%. 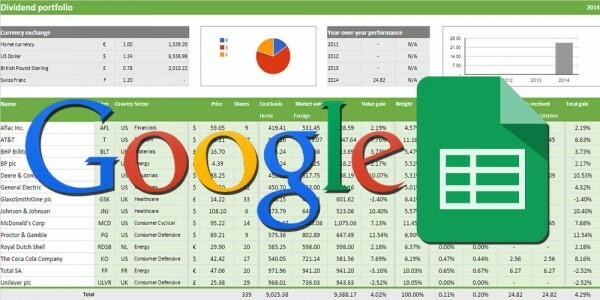 As for Google Finance: the dividend information is often wrong or incomplete. Definitely take a look on the actual company website if you want to be sure. Maybe your own broker offers you quality information too? I see that you selected RDS.B shares to avoid the 15% Dutch withholding tax. I wonder if you bought these shares on Euronext Amsterdam or on the LSE? I note that these shares are available on both exchanges, though volume in Amsterdam seems to be limited. What is your experience with this? Stamp duty tax in the UK? currency conversion from euro to sterling, etc. Would these circumstances ever justify to just by the A-type in Amsterdam for a euro-based investor? The B shares do indeed are exempt of any withholding taxes, which is exactly why I chose them. For me the Euronext Amsterdam ones are easier because they’re in Euros and because I have to pay a lower transaction cost (and no stamp duty). The liquidity is lower than the London B-shares, but more than high enough for my small share count. Under no circumstances would I ever opt for the A-shares. The hit on my return in the long-run is just too big. I’d be compelled to buy the GBP noted B-shares, however. But never the A-shares. thanks for your response. With Binck the differential in transaction costs is only €2 between LSE and Euronext. I may opt for LSE. As such I may combine dividends (in £) of other UK listed DGI stocks (National, grid, diageo, Royal Dutch, Unilever, GSK) to reduce the amount of euro’s that I need to convert; but I need to make the calculations. 0.5% stamp duty and 0.43% conversion, cost. hmmm, it may never be more interesting than investing through Amsterdam. Great blog! I was just wandering which bank/brokerage do you use for trading stocks? Aren’t fees and commissions eating lots of your savings if you regularly buy small pieces? Started out with BinckBank for ETFs and moved on to Bolero from KBC because they offer better services for foreign stocks and dealing with dividends. And their platform is miles ahead. The only fee I pay is a transaction cost every time I purchase or sell shares. With almost every purchase that fee stays under 1%, which isn’t too bad. E.g. Euronext is €7.5 per transaction, and I often purchase for more than €1,250 at a time, which is only a 0.6% fee. I’m a individual investor from Brazil and I discovered you site today. I liked your portfolio but I reach you site searching for ETF portfolios. Will read your strategy yet but why you gave up from ETF? I’m searching news from investment abroad. I also have a blog but in Portuguese, maybe will start write something in English. I switched from ETFs to DGI for a number of reasons, the most important of which was psycholigical: I prefer the recurring stimulus of dividend income over the very passive and volatile approach of index funds. More information can be found all over this blog! I arre with you on this part. I planed to start my investments abroad with ETF but I started with stocks lol. I bought CVS and BRK.B but after I bought IWDA also and now planning to buy ISAC from iShares also. You certainly have everything better figured out than me when I was your age. What is the annualised total return of your portfolio from its inception ? What pension fund do you have exactly? It performs rather well, no?